ere velit aliquet. Duis mollis, est non commodo luctus, nisi erat porttitor ligula, eget lacinia odio sem nec elit. Sed posuere consectetur est at lobortis. I was born in Willesden, north-west London, at the height of the Blitz. We were bombed out in February 1944 during the mini-blitz (Operation Steinbock) and evacuated to High Wycombe. (It is just possible that the GPO Research Station at Dollis Hill, half a mile from our house, was the target. At this time the first Colossus computers for Bletchley Park were being built there.) 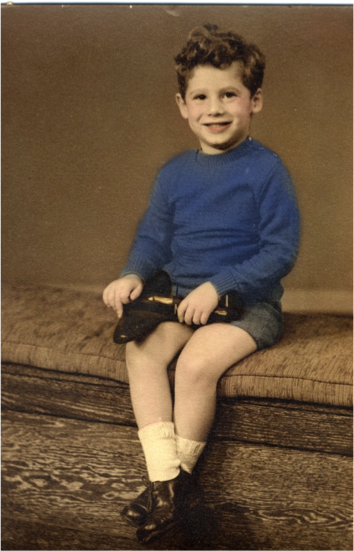 I started primary school in 1946, moving to Kilburn Grammar School in 1952. In 1957 I started working for Hamptons, the West End estate agency. I married Christine in 1962 and we have two children, Gael and Neil. In 1962 I switched occupations and joined the National Health Service as an administrator. I was a Fellow of the Institute of Health Services Management and after managing several large hospitals became the first personnel manager in the NHS in 1970; commissioning Northwick Park Hospital in Harrow. I was appointed Regional Personnel Director for North West Thames Regional Health Authority in 1982. I left in 1988 to form my own consultancy, from which I took early retirement in 2001 to spend more time on wider interests. I managed the family property business from 2005 to 2014 and have been a director of a number of organisations, mainly in the voluntary or public sector. I am a Fellow of the Chartered Institute of Personnel and Development and of the Royal Society of Arts and a Member of the Royal Aeronautical Society. I am also a Freeman of the City of London, an Assistant on the Court of the Worshipful Company of Needlemaker's and a Freeman of the Honourable Company of Air Pilots. Apart from bringing up our family, Christine worked in our consultancy practice for many years and in her spare time gardens and is a successful botanical artist, exhibiting widely. We live in a converted barn (1780) in Braughing, East Hertfordshire, with a large garden. Apart from being famous for its sausages, Old Mans Day and the annual wheelbarrow race our village even has an active Aviation Society, which I chaired for some time. I now balance my time between writing, flying, photography and travel to out-of-the-way places. My interest in aviation began in 1949 when my parents took me to the RAF display at Farnborough. I have slowly built up a library and photographic collection, based around my own photos from air displays in the 1950s onwards. My first article, on the Suez Campaign of 1956, was published by my good friend David Dorrell in Air Pictorial in 1965. My first book on post-war air wars was published in 1988 after over a decade of research. In 2000 I started to learn to fly, with British Airways Flying Club at Booker. A combination of age and poor weather slowed the process, but I gained my PPL(A) in February 2002 since when I have managed to fly over 700 hours. I had half-shares in several Piper Archers based at Fowlmere and got my IMC rating in 2003. Seeking independence and more cost-effective flying I bought my own SportCruiser in 2010. I have managed several long flying trips including the Around Britain Air Rally in 2004, Madrid, around Spain and Portugal, to Venice and to Berlin Tempelhof. I continue researching and writing; my most recent book on the RAF in the Middle East between the wars having been published by Air-Britain Trust. I am now working on a book describing the evolution of close air support in the Mediterranean theatre during World War Two. Formation flying course at Kemble with Ultimate High. Ex-Arrows pilot Des Sheen sitting hands off had more trust in my flying skills than I did. We were very close!